Serving everything from gyros to gelato, food trucks offer culinary masterpieces at a fraction of restaurant prices. These trucks allow talented chefs unprecedented possibilities by eliminating the complicated logistics involved in opening a brick-and-mortar establishment. Accordingly, most major American city streets now host various chefs-turned-entrepreneurs. The following list includes the best food trucks in America, as ranked by customers and experts alike. If you happen to find yourself in one of these cities, stop by these trucks for the perfect snack or meal on-the-go! If you’re among the crowd who only considers waffles a breakfast food, allow The Waffle Bus to change your mind. 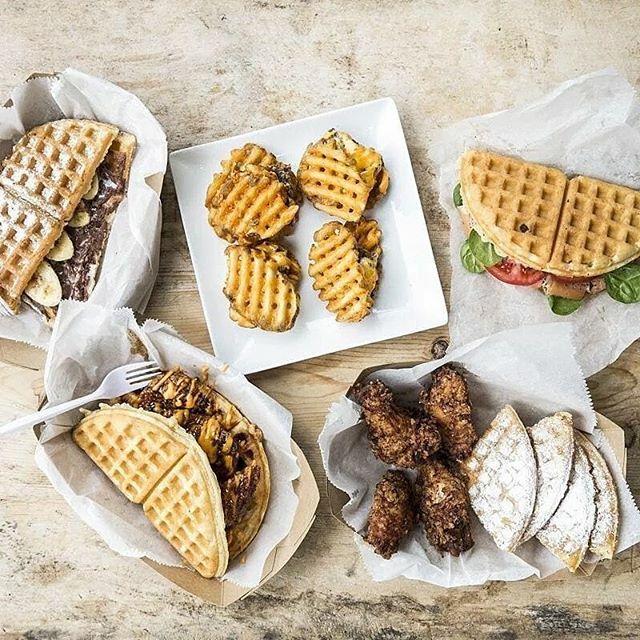 Owner Phi Nguyen’s creations range from “The Fryder,” a slider made of waffle fries, to a strawberry irish creme brulee waffle, a delicious dessert. 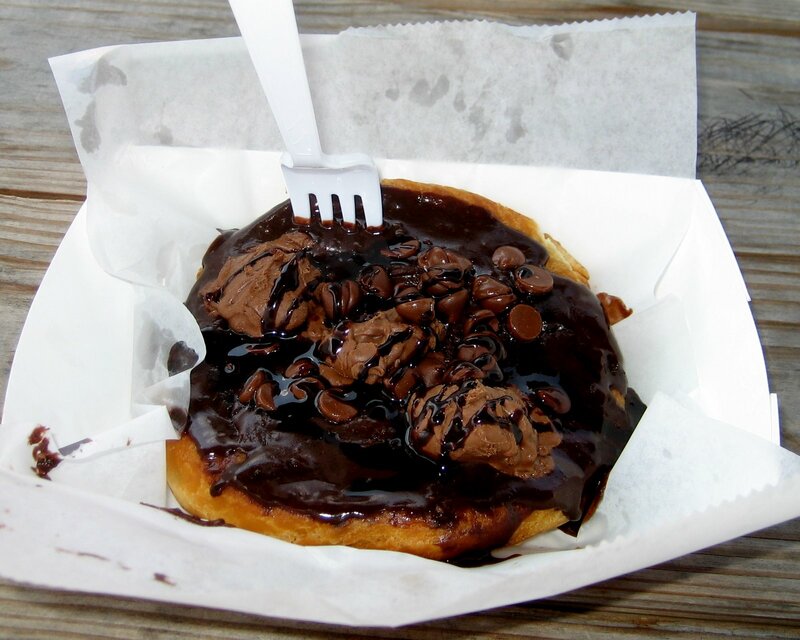 The Waffle Bus has been featured on Food Network and the Cooking Channel and is the recipient of several food awards. 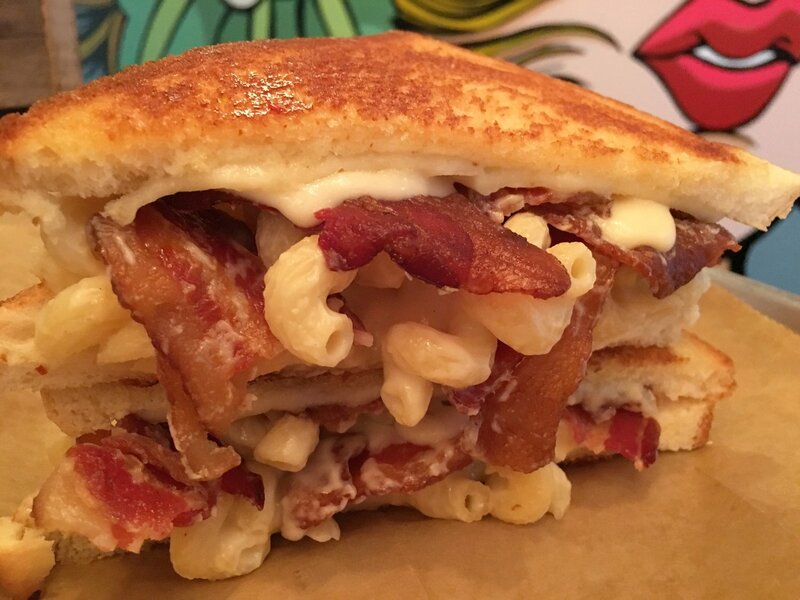 Ms. Cheezious reinvented the grilled cheese, and you need to try it. Forget just cheddar cheese: customers can choose between goat cheese, blue cheese, ricotta, provolone, and more. Beyond its cheesy options, the menu boasts food items spanning from a Frito pie melt to a S’mores melt, winning over even the most diversified of audiences. The next time you find yourself in Miami, swing by the truck that’s won the hearts and stomachs of locals and tourists alike. Move over, Krispy Kreme: Gourdough’s will forever dull your perception of a glazed donut. Aptly titled “Black Out,” one donut offering combines brownie batter, fudge icing, and brownie bites. If you’re looking for an adventure, the Fat Elvis consists of grilled bananas, bacon, peanut butter, and icing. While you’re in Austin, also be sure to check out some classic Texan tacos to make the most of your trip (and appetite). Started by three friends looking to make good Filipino food mainstream, the White Rabbit will make you want to plan your trip around the truck’s busy schedule. 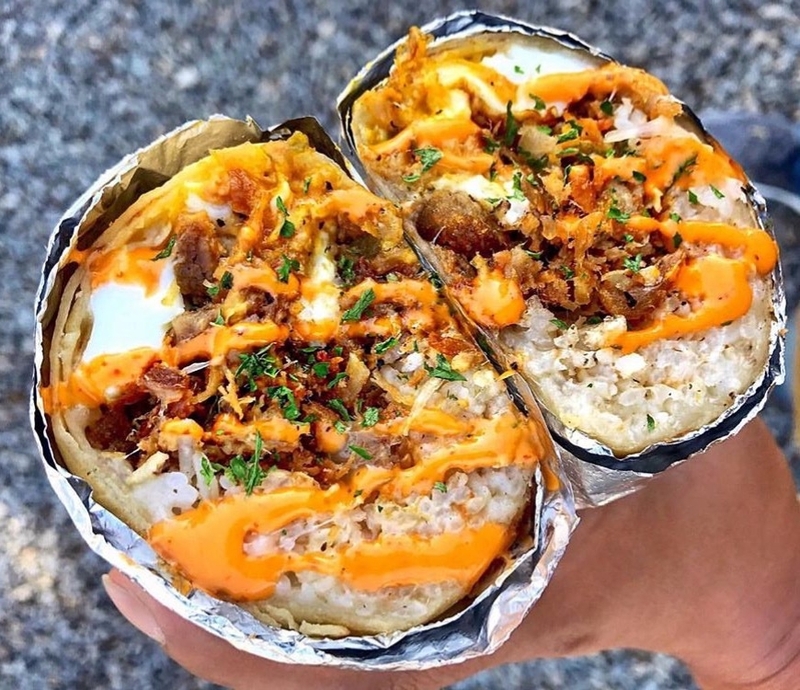 The White Rabbit puts a Mexican and American twist on Filipino staples, turning classic burritos and quesadillas into works of art, making it no wonder that the truck successfully expanded into Las Vegas as well. Plus, who could say no to a six-pound burrito? Matt McDonald, the founder of Hey PB&J, takes the “food truck” concept quite literally, selling gourmet peanut butter and jelly sandwiches from the bed of his 1979 Chevy truck. 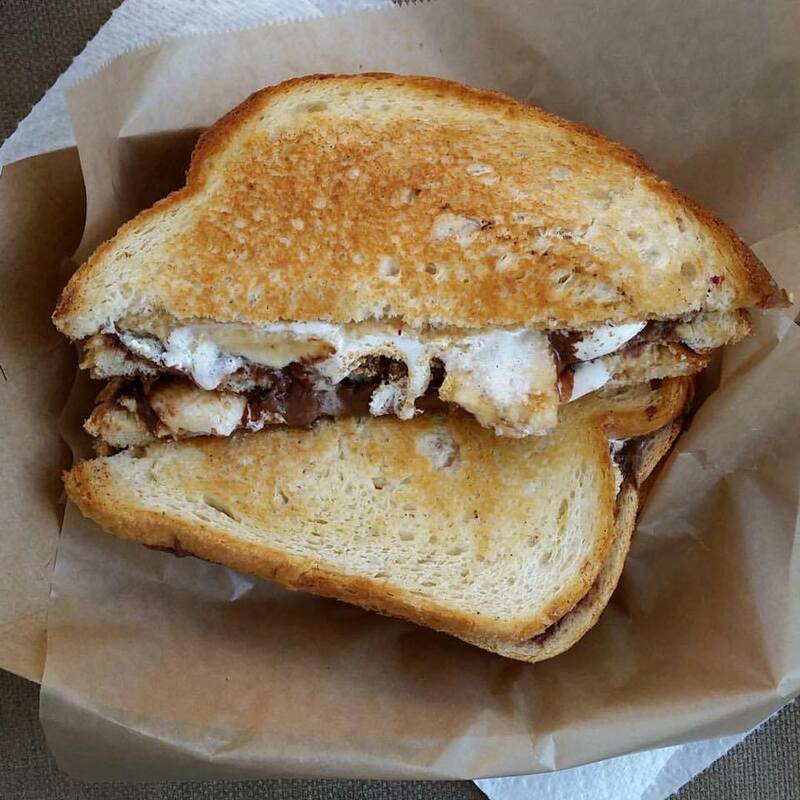 The truck’s menu includes the classic, crowd-pleasing nutella banana peanut butter sandwich, but also quirkier peanut butter sandwiches like thai chicken and blueberry jalapeno. Fun fact: McDonald makes his own nut butters and even some of his own jams. All of the aforementioned food trucks are founded upon the same principle of taking a staple food and turning it into a unique culinary sensation. 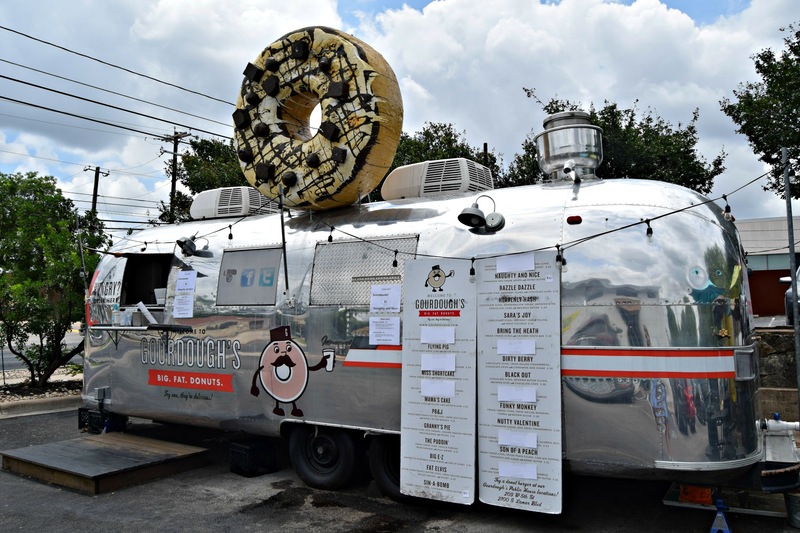 If you’re even the mildest fan of ordinary waffles, grilled cheeses, and donuts, you’re guaranteed to leave these trucks with your stomach and wallet satisfied.